Your biography is first thing your users see when they visit your profile, it’s essential that you master it, make it as interesting as possible to your relevant and targeted audiences. But, mastering your bio takes a bit of trials and testing to finally be able to settle for one that really converts profile visitors into followers. 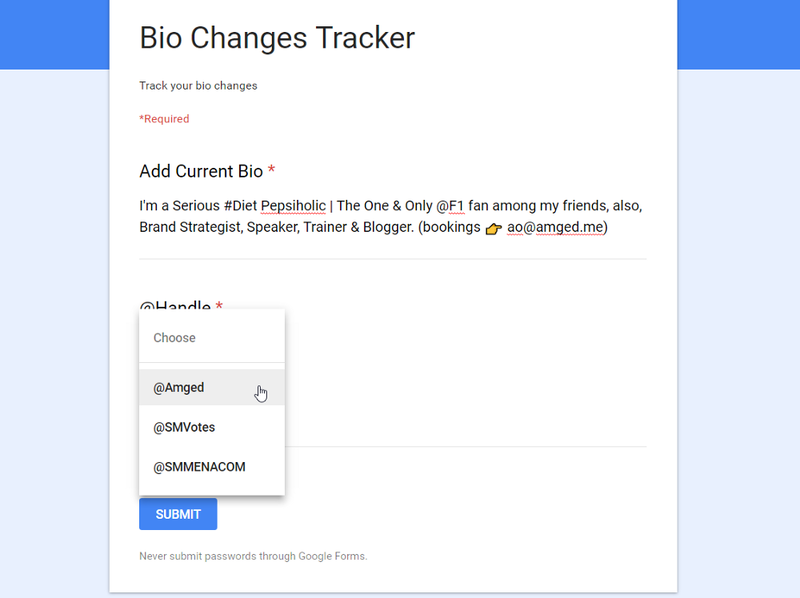 With every submission, the new bio will be saved to Google sheet (responses) where you can go back to later when needed. 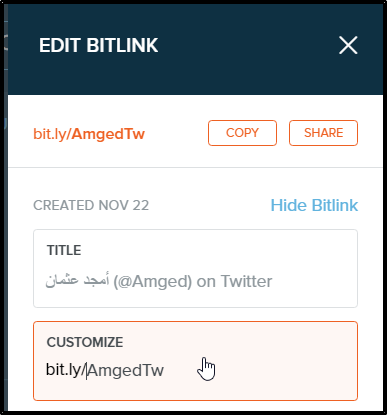 Create and save your short URL for your profile by creating a short link in bit.ly URL shortening service. Mine is http://bit.ly/AmgedTw , but it’s not just a short link to my twitter profile, i’m using Twitter Web Intent to directly redirect users to follow button so they can follow me instantly. Archiving your tweets is generally a good idea, you can quickly go back and search through your tweets in one single sheet, just in case you needed to replicate a tweet that worked well for you, or to find a link you shared or for whatever reason you might need. IFTTT is a service that allow you to connect other services together, and automatically take certain action based on how you set it up. 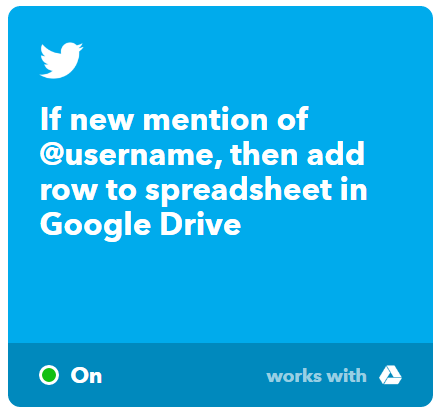 IFTTT is a very handle tool that we will be using greatly in this article. I personally depend on it on daily basis. Here’s the Applet i’m using to accomplish the auto archiving of my tweets, simply click the link, and connect both your Twitter account and Google account, then activate the applet. It’s important to save a list of those who mention and will mention your account, having a list usernames who mentioned you, you can simply retarget them later on using Tailored Audiences feature on twitter. I’ve written a full article about using Tailored Audiences on Twitter. 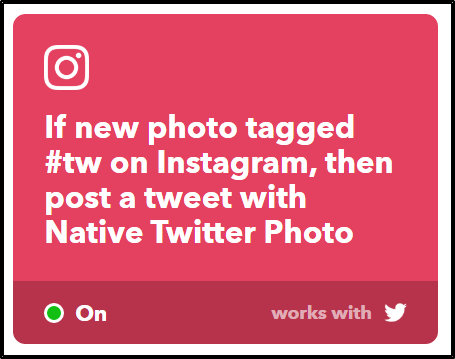 If you’re using Instagram, you can use IFTTT to post Instagram photos as Twitter Native photos (not as URLs only). 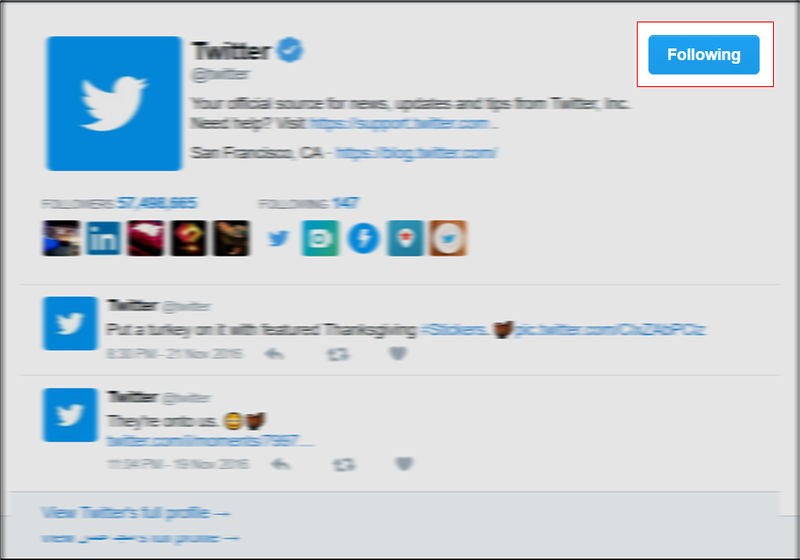 This article explains the difference between sharing directly to Twitter from Instagram and sharing using IFTTT as Native Twitter Photos. It’s always good to track tweets that includes a hashtag that you will be using a lot in future, you can use this applet to accomplish this. The applet will save a new row of each person mentioned the hashtag. I’ve used this great way to out-smart my competition, i’ve kept track of every person mentioning their hashtag in a list, then using certain services, i was able to download that list of usernames, to target them later on Twitter using Tailored Audiences. My 5 Hacks Can Improve Your Twitter Advertising Strategy article explains it all. Finally, save the username of every person follows your account using this custom made applet. 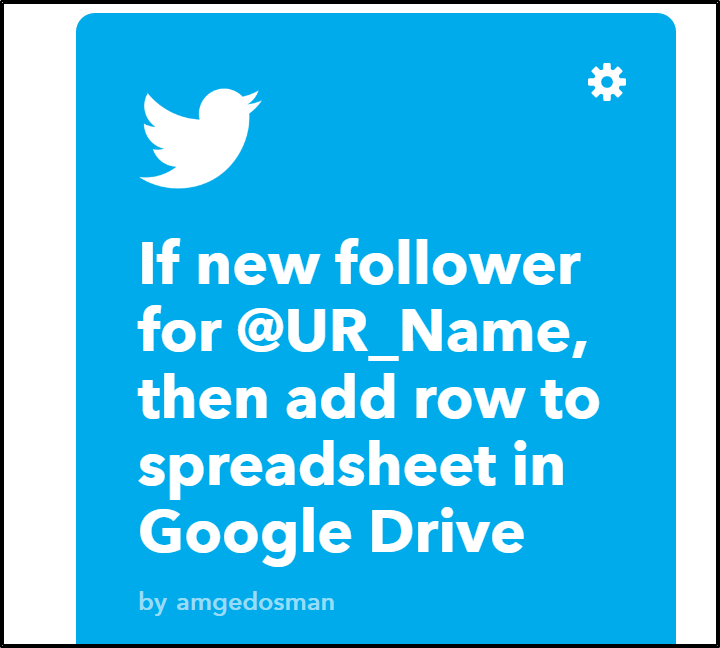 It will put the usernames of each follower in a separate row, handy if you want to download your list, or to search through your followers. That’s it from my side, of course I do use a lot more than just these, but now it’s your turn, go discover the endless possibilities on IFTTT.